With sales achieved within just a few days, almost nonexistent negotiation margins for perfect properties, and a decrease in stock, the luxury real estate market is particularly healthy this year. Despite this, prices on average have not rocketed. While the real estate market overall achieved non-stop records in 2017, the luxury sector continues to benefit from an incredible state of health halfway through 2018. 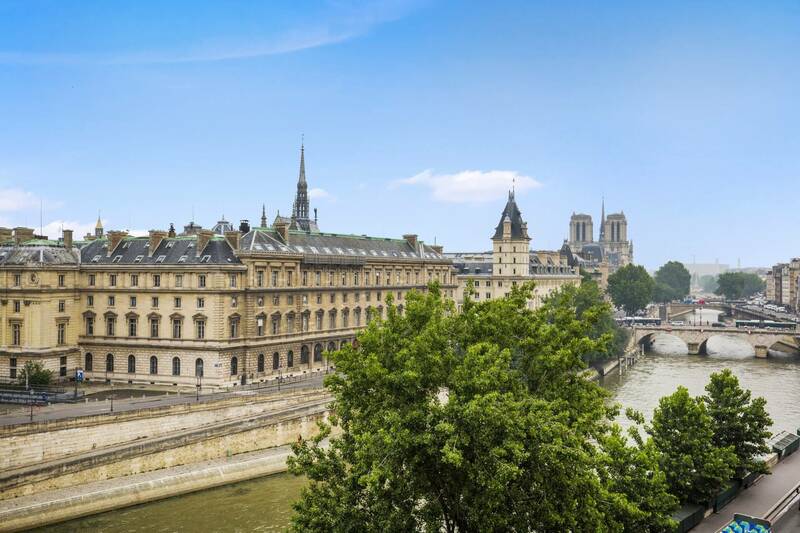 The Daniel Féau network has just published its appraisal of the year’s first semester, with sales of family apartments and upmarket properties in Paris and its desirable western suburbs reaching “previously unattained levels”. Somewhat logically, pre-sale delays have dropped to near rock-bottom even for these sales at prices in the millions of Euro. The network has observed that it is not rare to obtain an offer, or even several offers, at the asking price within just a few days once the property is on the market. It is even muttered under the breath that sometimes offers at above the asking price are submitted. Sales have blossomed particularly for under 150 sqm 3 or 4 bed apartments. In a year the pre-sales delay has been slashed by practically two-thirds, dropping to 35 days for a four-room apartment and 23 days for a five-room apartment. Larger properties (over 250 sqm) take considerably longer to sell (often over 120 days) but the delay is nonetheless also on the downward trend. Buyer confidence and a change in the image of France as seen from abroad have notably stimulated the market. Both foreign buyers and ex-pat French nationals planning a post-Brexit return are active. The surge in sales has logically been accompanied by a reduction in stock, the value of which is estimated to have dropped by 50% between the end of March 2013 and the end of March 2018. In this plush market, there is however no mention of an uncontrolled surge. “We do not consider that the market is at fever pitch, we prefer to evoke activity or dynamism” underlines Charles-Marie Jottras, president of Daniel Féau. This point of view would appear to be backed up by the fact that the network observes that prices, very high in absolute value, have progressed only moderately. In any case, considerably less than the 7.7% increase estimated by notaries for the end of June and based on pre-contracts in the capital. For sales at prices ranging between 1 and 2 million euro, the price/sqm has progressed by just 3.7% in a year (for the period covering January to May). It is however true that it is at 12.661€ (compared with 9350€ in Paris in June based on pre-contracts). Between two and four million, the progression is even more reasonable: + 1.1% (14.113€/sqm on average). For sales at prices exceeding 4 million Euro, the price/sqm has however increased more significantly: + 5.6% (20.836€/sqm). It is to be noted that in this market sector non-residents represent no less than 61% of buyers, and of these 42% are French nationals. Statistics that reassure real estate professionals for the future. They are however disappointed to observe that legislation and a tax system that is anything but encouraging are leading to a melting-away of the family rental market. The tax on real-estate wealth does notr particularly concern them: “The IFI should have a negligible impact on our market, although it is very different for the rental market” underlines Charles-Marie Jottras. “For the very wealthy, securities carry more weight than real estate assets and they should therefore overall be winners”.